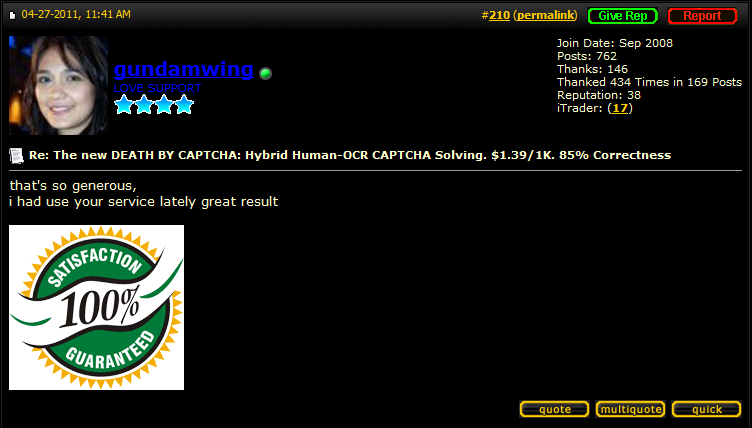 The best CAPTCHA solving service ever! Sometimes I got CAPTCHA solution in a second! They are quick to solve and overall just great. Great service, and gets the job done. 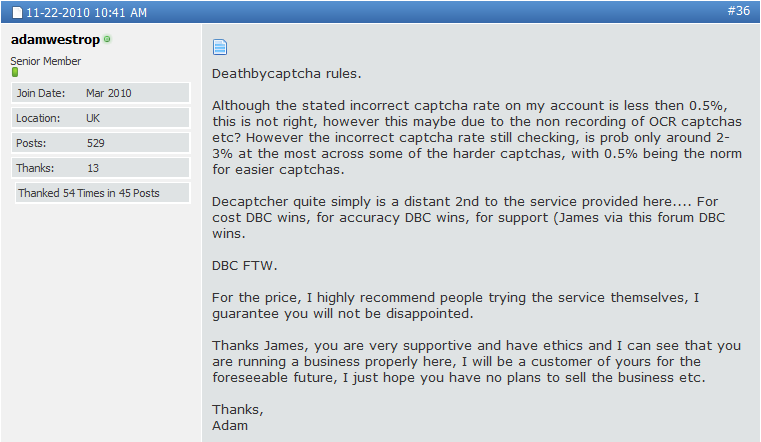 Death By Captcha is cheapest and probably the best decaptcher service. I find the success rate pretty high. And for that price, what else can you ask! A success rate of 98%, no human based other service could beat that, especially so cheap. Works great and most important, fast as hell. I love Death By Captcha. It's my favourite service. Very good. I'm going ahead and placing order again. Thanks for very nice service with really affordable price. Death By Captcha has already rocked my world. I would never ever ever ever ever use other service again. I advise everyone to switch now! Death By Captcha is amazing. 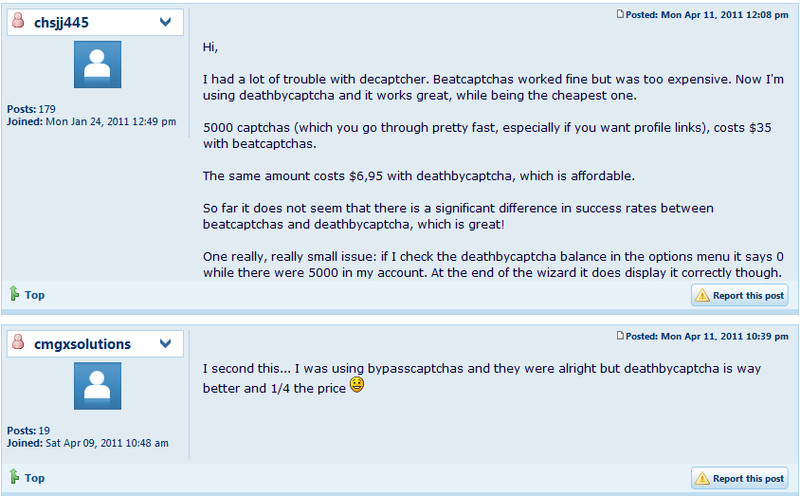 So cheap and they solve CAPTCHA super fast! Needed support once, very prompt and professional. Very good. They work perfect, that was an easy switch. For cost DBC wins, for accuracy DBC wins, for support DBC wins. DBC FTW. I highly recommend people trying the service themselves, I guarantee you will not be disappointed. Death By Captcha is way better.